Carter Heating & Air, Inc.
Cape Fear Air Conditioning and Heating Company, Inc.
Air Experts Heating, Cooling, Inc. Comment: I am looking to replace my AC Condenser and Evap unit as well as setup a second zone in a bedroom. Comment: Upstairs ac unit blows but not cold air. Recently diagnosed leaking freon. Need quotes on replacing just the one part of the system. This system is currently running on the old style freon. Need to replace it as economy as possible. The unit is located on the side of the house. NOT LOOKING TO REPLACE THE ENTIRE SYSTEM. 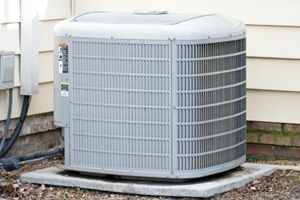 Comment: Need to have a/c checked for summer use and fix a loud bubbling noise that it makes all the time. Comment: My main Heating/A/C unit for my house is malfunctioning and I need someone to come and look at it. Comment: I am looking to buy an AC unit soon and looking for a certified technician to install my new unit. Advantage Cooling & Heating, Inc.
Pmb 155 3434-135 Kildaire Farm Rd. Raleigh HVAC & Air Conditioning Contractors are rated 4.77 out of 5 based on 1,522 reviews of 54 pros. Not Looking for Air Conditioning Contractors in Raleigh, NC?